Hello ladies ! how are you doing? last weekend was my husband's birthday ,so we went on a little trip to Ras Al Khaima and Oman . We had a great weekend exploring new places in uae and we enjoyed the region of Khasab in the Sultanate of Oman . of course i had to take some beauty products with me , here they are ! 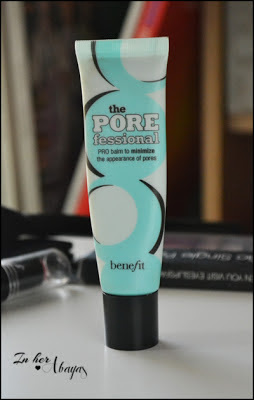 As you can see i didn't take a foundation , but i took my favorite primer , PoreFessionnal by Benefit . I put after sunscreen and it evens out my skin and covers the pore , just what i need on a summer day ! The picture speaks for itself! Hitting the bottom of a product is the best proof of love! 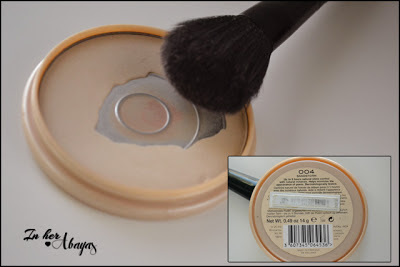 The Rimmel Stay matte powder as been for years my favorite , i use it on the days i don't feel like wearing foundation , it doesn't cover buy it gives a nice velvety finish to the skin , and it's super light weight . Also one of my all time favorite , my Estée Lauder face trio that consists of a matte bronzer , a brush and a shimmer powder . 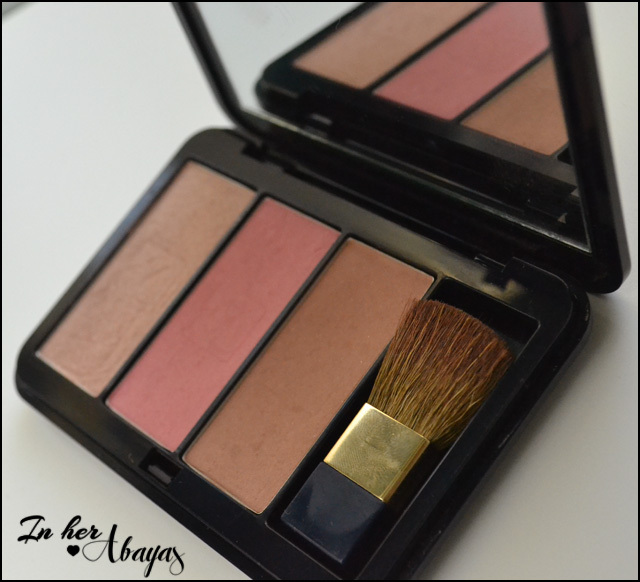 a great palette for contouring and/or bronzing my face. 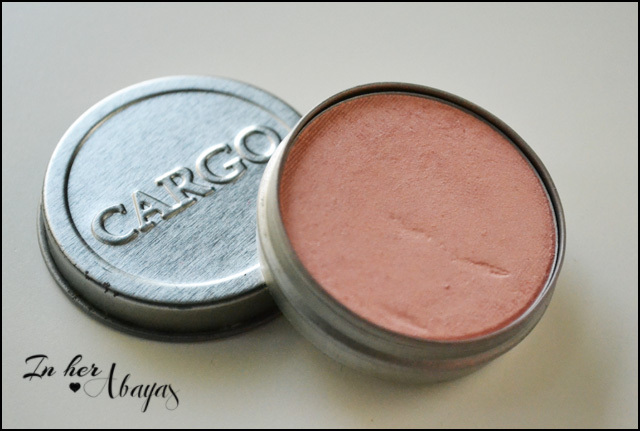 A coral blush from Cargo Cosmetics , in the color "The Big Easy"
Beauty on the go single palette by elf Studio . It's super light weight , has all the natural colors that i love and has the most beautiful blush , what more can i ask for ! i don't like the lip colors though ! 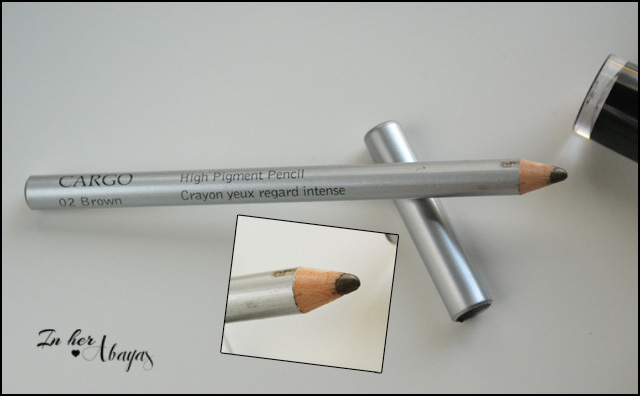 This Eye pencil from Cargo Cosmetics in the color " 02 Brown" is my go too eye pencil when i like defined , but not bold eyes . a must have ! 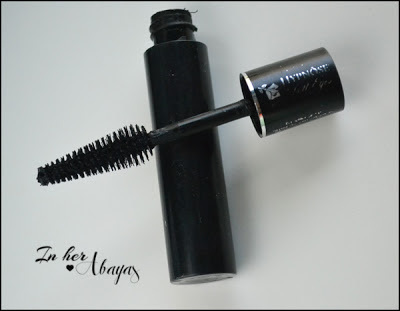 A mini Hypnose mascara that i keep in my handbag . I only took 2 Brushes , a contouring brush from Sensi professional that i use for all face makeup and a double ended eyeshadow brush from Studio Basics . Just the necessary . Wet n Wild lipstick in the color "think pink". 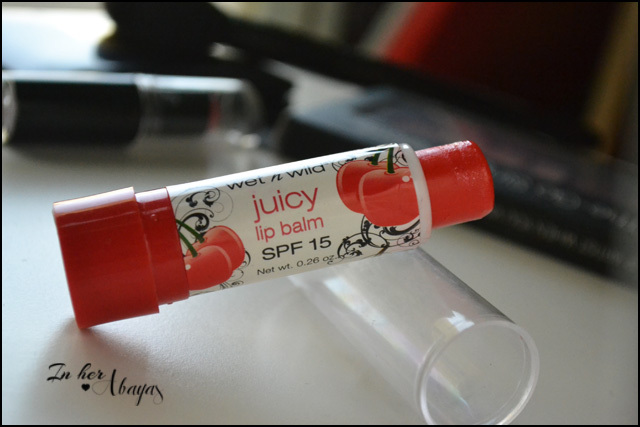 And last but not least , the Juicy lip balm by Wet n Wild . 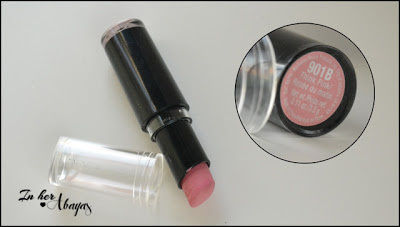 i love everything about this lip balm , it smell soooo yummy , has SPF15, and is super motorizing . So these are the makeup products i took with me on my weekend trip , i usually take a lot more than that ! I hope you liked this post , if you do please share it and comment down bellow and tell me what are the products you always bring with you on trips ? Thank you saima dear ! let me know if you need advice on building your makeup collection! 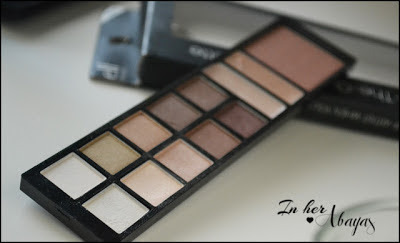 Oh, I really like that elf palette..I might have to look for it! The primer sounds fab! Not used a primer in a while, last one was by Laura Mericer in Radiant, a lovely rose gold colour which compliments darker skin tones like mine. Love the Hypnose mascara. 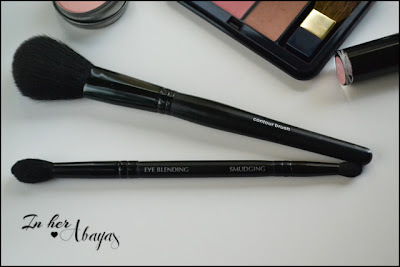 Was my first high end mascara, it's amazing!